Haithem is another one of those people on the scene in NY tech who’s on a first name basis with the community. Haithem has worked with everyone from students and aspiring entrepreneurs to startups and Fortune 500 companies, and from the shakers to the movers. 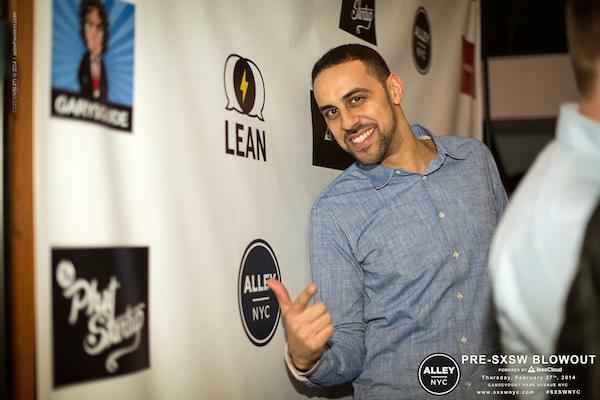 Speaking of which, at AlleyNYC, he maintains key relationships within the community, producing and promoting special events and providing marketing support and relevant experiences for entrepreneurs, connecting them with key influencers within business, culture & technology. In plain English: He’s a connector who has been known to throw some of the coolest events at some of the hottest venues in NYC. But he’s not new to event planning, especially for NYC startups. He was also Founding Member and headed biz dev for NYC based event-planning platform, Do It In Person. And remember his party on the boat? It was one of the largest NYC startup networking events, maybe ever. But did you know that he’s also a part-time student at NYU’s Stern School of Business, working on his MBA? Or that he’s member & volunteer for Habitat for Humanity? It takes a special kind of guy, and that’s what makes Haithem awesome.